Aaron Holly, Clinical Director of Okemos ORS, Orthopaedic Rehab Specialists, PC talks about the services they provide. For more information, please visit www.ORSMI.com or by calling 517-268-9040. 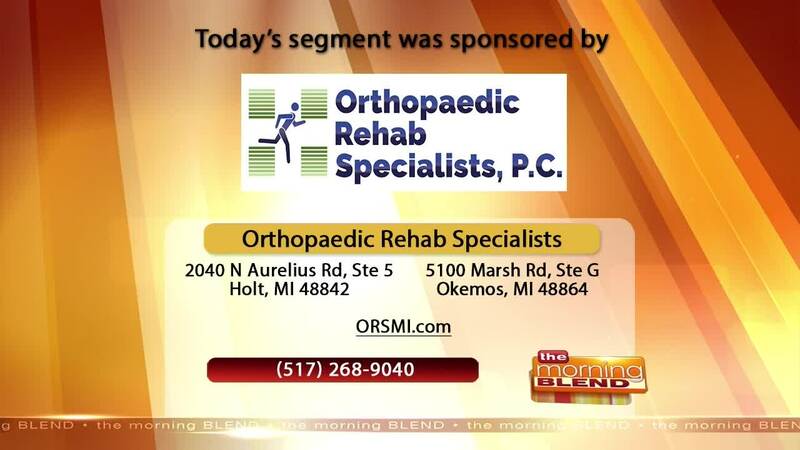 WSYM —Aaron Holly, Clinical Director of Okemos ORS, Orthopaedic Rehab Specialists, PC talks about the services they provide. For more information, please visit www.ORSMI.com or by calling 517-268-9040.